If you have an Android smartphone there’s little chance to get malware unless you start downloading suspicious apps. The main reason for that is the sandboxing model that the platform uses - it simply doesn’t allow apps to do much damage. Still, Android is said to be the biggest target for attacks and reports claim that the number of malware apps on the platform is alarming. If you’re a security freak and/or like to download apps from everywhere but the Android Market, aka Google Play, you might have to think about installing an anti-virus application. Turns out, though, anti-virus apps for Android are not the same. What’s difference? Basically, Android anti-virus apps range from those protecting you from viruses to - for a lack of better word - utterly useless crap. A recent report by independent researchers from AV-Test revealed the pearls among them and pointed out those you should stay away from. The best performers in its tests included Avast, Dr. Web, Kaspersky, Ikarus, F-Secure, Zoner and Lookout. These detected over 90% of the malware that was thrown at them. The second tier of apps detected between 65% and 90%, and included applications like Android Antivirus, Android Defender, LabMSF Antivirus beta, MobileBot Antivirus, MT Antivirus, and MYAndroid Protection Antivirus. Finally, there’s one category you should stay away from at all costs - apps like ALYac Android and Antivirus free basically detected zero or close to zero infected software. Check out the graph below illustrating the difference between Android anti-virus apps and let us know - do you use one? 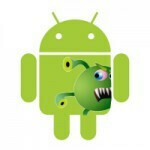 Do you think an anti-virus app for Android is necessary? android is open to everyone. everyone includes hackers. result is: a hell of viruses. open source doesn't necessarily imply viruses. just look at linux. don't generalize things that you have no idea about and have no contribution to. linux? are you kidding me? linux has just a few thousands of users i would say and most of them are professionals who know how to protect their pcs from virus attacks. who would make a virus for linux? Mac OS is Linux-based, so add a few thousand more users to your count. Linux is just as open as Android (which is, in fact, Linux) and has no known virus/malware/bla-bla. You must be wrong. what a baseless and pointless comment. you really dont know what your talking about drahmad. Trying to be the new taco/gallito and just anger people? Sure seems like it. Yeah, except he's a nokia fanboy, may be even worst than gallito! But he has a better profile picture though. Lookout, unless something has changed since I last used it, doesn't scan your SD card and didn't find an Eicar test file I loaded onto my phone, so it qualifies as basically useless for Anti-Virus also. Any Anti-Virus/Malware solution that doesn't scan your SD card or internal storage is a joke since it would be completely ignoring what surely is the main vector of attack, infected files. Considering the only thing I need Lookout for is to scan my apps for malware or virus's or whatever else is bad for my phone I say it's pretty useful. Most, if not all, of my files on my sd card have been through my computer which should have picked up any threatening files on said SD card. So I would say it's pretty useful and also all of it's other features I can use while not taking up a lot of space or resources is good enough for me. But I guess not all people are as secure about the files they put on their phone as I am. I'm very secure about the files I place on my pc. My point is that Lookout doesn't scan any file on your phone other than program files. I get attachments via email on my phone which obviously aren't going through my pc AV suite. If the AV app on a phone doesn't scan files you download via email/browser, that leaves a gaping hole! But I guess some people don't actually use their phone for actual productivity as I do. I do see your concern, and I admit I have over looked that flaw, however I do use my phone quite a bit for productivity. Not only do I use it for school, since I am a full time college student, but I also use it for work since I am the main night auditor for a hotel so I edit many spreadsheets daily on the go, however, in the past few years, I have yet to get any virus/bug on any device via email, and I have about 5 emails going to each device I set up. OMG, dont go downloading antivirus guys.. your waisting your money and slowing down your phone. You have a 0.00005% chance of getting a virus on your phone ,and you will only get it by not paying attention to what apps you download and almost completely from non market sources (though we have found a few in the market). you have almost the same possibilities of winning the lotto, so dont get so excited. You do realize they have more optionns of entry aside from fake apps, right? Or are you saying it's pointless cuz a malicious file cannot enter your phone via a plug in like flash content, browser hijacking a fake link or auto download on SD, then .exe? They just discovered malicious Facebook links that targeted mobile users. I'm not convinced we're safe from a whole heck of alot b/c it's all newly tested and created attacks. Lookout came with my HTC, and I've never had an issue with out, and it isn't a resource hog. Based on this test, if I didn't have lookout, I'd get Kaspersky. avast is free and it has the best anti-theft feature. Also the best UI and way better than look-out for me. I would use Avast....I use it on the home pc and it does better than AVG and others. On my phone it found a live wall paper pup that look out and AVG missed! Please define the colors in the table. not to get off topic or troll but would an iphone need anything like this?